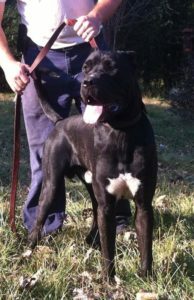 Triton was a Midgard Mastiff, and I was with him the moment he was born. I cut his umbilical cord, and helped his mother clean him up. I’d done the same for her when she was born, and so on for generations back. Triton was a tall, athletic dog with great courage and drive. He had so many of the traits I’d been breeding toward for years. So I kept him. I raised him, and taught him obedience and protection work. Once he was grown, I decided to place him with someone else because tensions were growing between him and Kronos, my old male. I kept breeding access to him, but I thought it would be better for Triton to go somewhere he wouldn’t be in conflict for the spot of top male dog. 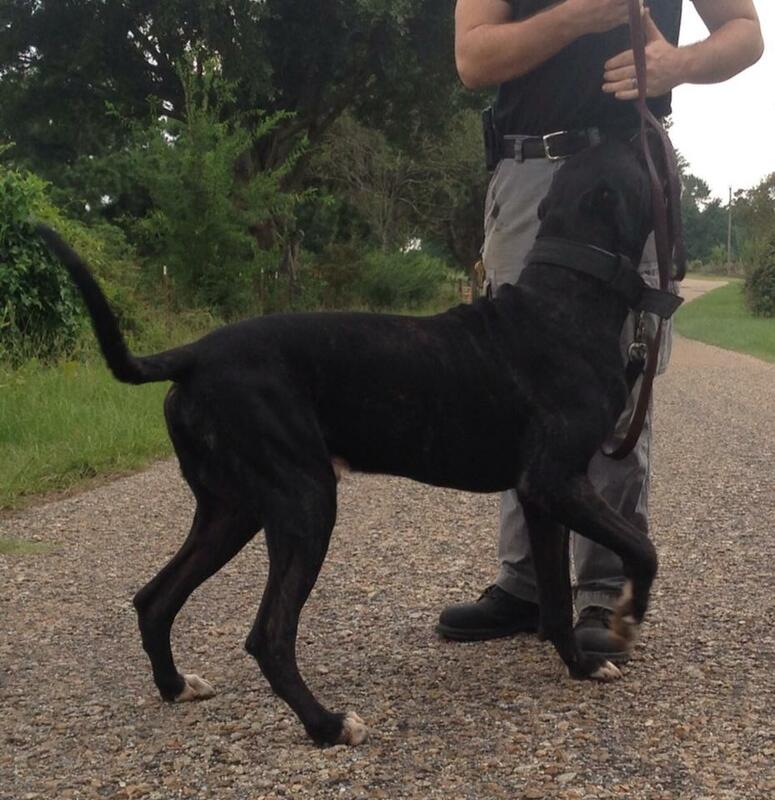 I sent Triton to live with a family close by in Mississippi. They were good people; a disabled veteran named Vince and his family. They love dogs, they took Triton hunting and they treated him like a king. They gave him the life I wanted him to have. He was their guard dog and he protected them and their grandchildren. I kept an eye on him through Facebook. I saw pictures of him enjoying the good life, riding in the cab of the truck, hunt wild boar, living a fulfilling life. One day, Vince called me and told me Triton had saved him and his family in a home invasion. The night before, three men had pulled up to their house while they slept. Two of them had broken in while the third waited in the car. They clearly didn’t know about Triton. he two home invaders and Triton were outside. The front door was broken where 130-plus pounds of lean, athletic Triton had shoved a man through it, along with the porch handrail where they fell off the deck onto the ground. Vince made it outside just in time to see the last man jump into the car through the broken part of the fence they’d also crashed through while Triton repelled the two men. Triton chased the car for a while before coming back home, but they were gone. From the blood, it was clear Triton had meaningfully injured at least one of the two men he fought. The police put out a notice to the local hospitals, but found out later they had driven across the state line to a hospital in Memphis. For a while that was the end of it. Triton had stopped the home invasion and protected his family. He wasn’t injured, and his genes and training had given him everything he needed in the moment he was bred for. Then I got another call: Triton was dead. He’d been poisoned. The man who poisoned him left the bait in Vince’s yard, and Triton wasn’t the only one that died. The poison also killed a female dog who was pregnant with a litter of his puppies. They all died that day. Later on, the man who left the poison was arrested and jailed after he bragging about the deed. It turned out that he’d been hired to kill Triton, presumably by the men he fought. Triton died a hero, but I was left wondering if I could have done more for him, or if I can still do more for his descendants. My best breeding had failed him in the end, and I feel the weight of that. It was my job to make him into what he needed to be to do his job without losing his life. His grandson, Vulcan, is growing up now just as proud and strong, and one day he’ll have pups of his own. If I can engineer a resistance to common poisons into them, I can give them an edge in those situations too. This is the moment when canine heroes like Triton can get upgraded to the canine superheroes they deserve to be. Triton deserved the genetic engineering that would have saved him and his pups. There’s no reason the best of them have to die just to stop the worst of us.